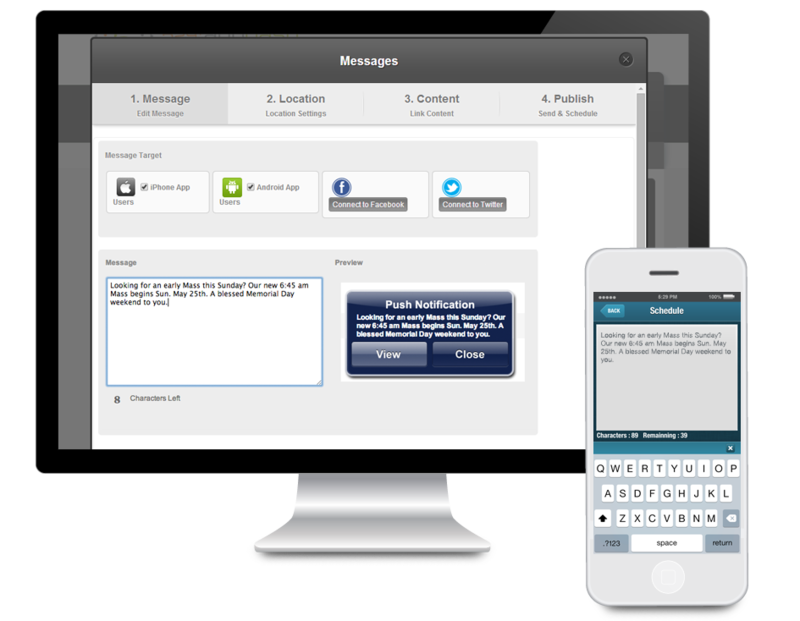 The most powerful mobile app content management system, built specifically for your parish. Give parishioners, parents, students, athletes, and guests a way to access mass times, bulletins, schedules, photos and videos, from anywhere. Update your app's content whenever you'd like using our powerful content management system. Modify everything inside your app without having to send your app for a lengthy update with Apple or Google. Our cloud-based system allows you to update content in real-time. Manage Your Church From Your Phone! Download this powerful mobile app here to help you manage your Church Mobile App on the go. 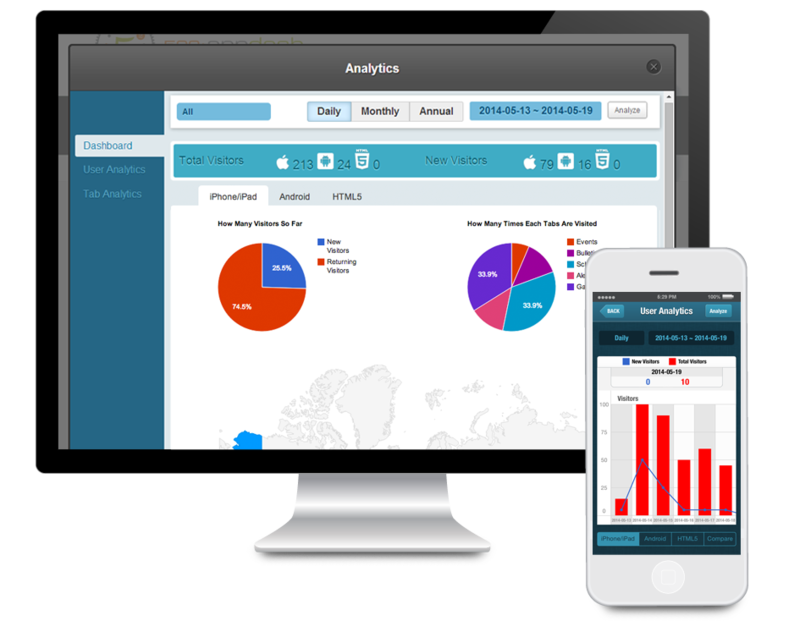 Send out push notifications to your social media networks, check detailed analytics, and more. For the first time, Church leaders and teachers can now manage their app on the go without having to access a computer to send out push notes. Besides sending push notes, scheduling push notes, and checking analytics — Our system can sync with social media pages to simultaneously post to their Facebook and Twitter pages along with their push notification. With this feature, a Church Community can keep their parishioners, teachers, parents, and students informed with their app and social media pages all at once. For example, your Church can send a message that reads “Due to winter storms stations of the cross are cancelled tonight” — and this message can update your app users, Facebook fans, and Twitter followers all at once directly from their mobile device. Is there any cost for clients to use this app?